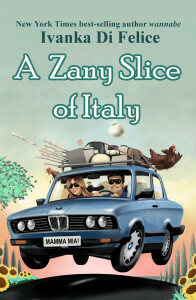 The following is a guest post by Ivanka Di Felice, author of A Zany Slice of Italy. If you would like to write a guest post on my blog, please send me an e-mail at contact@cecilesune.com. Follow the author on Facebook: Ivanka Di Felice. 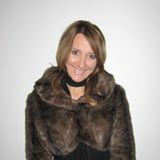 Ivanka Di Felice is a writer living in Tuscany. She will assure you that it's far less pretentious than it sounds. She was born in Toronto, Canada. She is 39 years and 94 months old. In her quest for happiness, she followed Nora Ephron’s advice: “Secret to life, marry an Italian.” She’s written a book titled A Zany Slice of Italy describing her recent adventures.